According to the Natural Hydration Council in the UK – drinking water before, during and after exercise helps us to work out more efficiently and for longer. In fact, physical and cognitive performance can suffer when we are poorly hydrated while working out or playing sports. It’s no surprise that gyms of all shapes and sizes are investing in solutions to safely and conveniently supply enough chilled water to all of their patrons. One of the most popular approaches is to install water fountains throughout a facility, ensuring that it’s quick and easy to hydrate or fill a water bottle. 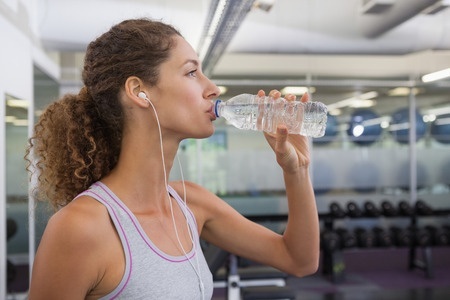 There are a wide variety of different options and styles to consider when looking into the best solution for dispensing water throughout a gym or sports facility. The most popular being indoor water fountains that are built to hold up against frequent use while also guaranteeing uncontaminated drinking environments. Generally you’ll be choosing between units that feature either a long neck glass filler, which is perfect for pouring into bottle, or the traditional bubbler valve where you press a button to dispense water into your mouth direct. Another consideration is how much volume a specific establishment will need to dispense, which determines the capacity of the units you’ll require. To give you an idea, you could scale from 5L of chilled water an hour all the way up to 60L. It’s also generally a good idea if you’re anticipating a great deal of thoroughfare for your drinking fountains that you opt for powder coated or stainless steel finishes. Once you know exactly which units you want to kit your gym out with, you can easily get them delivered, installed and maintained when you partner with professional suppliers. Whenever you buy or rent a drinking fountain, you’ll need to take into account a variety of spare parts and water filters. If you’d prefer not to manage this upkeep you can enter into a service level agreement where it’s all taken care of by a trusted supplier. However, don’t forget about including plastic or cone cups for the added convenience of your patrons. At the end of the day, water fountains are a great asset for any gym, multi-purpose centre or sporting club!